December 20, 2005 – The IAFF scored a huge victory last week in the fight to secure affordable health insurance for retired fire fighters. Following aggressive lobbying by the IAFF, the Pension Protection Act – which includes one of the IAFF’s major political initiatives, the Healthcare Enhancement for Local Public Safety (HELPS) Retirees Act -- passed the U.S. House by a vote of 294-132. “The hard truth is that paying for health insurance yourself comes with a hefty price tag –and is a financial burden that our retired brothers and sisters should not have to carry,” says IAFF General President Harold Schaitberger. “With this legislation, we have cleared a major hurdle in eliminating that burden. As this bill makes its way to the Senate, I encourage all of our members to tell their senators how important this legislation is.” HELPS was crafted by the IAFF to respond to the growing problem of high health insurance premiums facing retired fire fighters. Due to budget issues, many municipalities are canceling retiree health insurance or are requiring them to pay high premiums. The HELPS Retirees Act creates an opportunity for retired public safety officers to purchase their health insurance on a pre-tax basis. Retired fire fighters, EMTs and police officers would also be able to set up a direct payment system from their pension or deferred compensation to their health insurance provider. The funds paid directly to the insurance company would not be considered income for federal tax purposes. 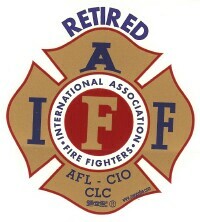 In addition, retired fire fighters would be allowed to shield up to $5,000 in earnings per year from federal taxation. Representative Chris Chocola (R-IN), a member of the House Ways and Means Committee, championed the IAFF initiative from the very beginning by sponsoring the bill. On behalf of the fire fighters, Chocola made the legislation a provision of the Pension Protection Act, and Representative Bill Thomas (R-CA), Committee chair, attached HELPS to the pension bill. While the House vote is a big step towards final passage of HELPS, the battle is not over. A U.S. Senate pension bill that does not include HELPS will be reconciled along with the HELPS pension bill in a House-Senate Conference Committee. The IAFF will work to have HELPS included in the final product.